Holy Toledo! It’s been a loooong time since my last post! I knew it had been awhile but when I did the math it’s officially been 24 days – that’s over three weeks! Definitely a record since I created this space almost four years ago! So much has changed since then, it’s almost staggering to think about! Hungry Jr. will be eight this summer, we’ve relocated back to the Northeast, and this blog and related projects have become my full time job – not to mention a million other small things. It’s been a lot of hard work, but we’re having a blast! Also I have to say that in spite of the fact that it’s freezing here and I’m literally looking through my window at guys ice fishing on the frozen lake, it’s STILL good to be back in the Northeast – even if I never imagined I’d be referring to myself as a New Yorker! That’s pronounced New Yaw-kah to you non Yankee folks btw. We still have a lot of loose ends to tie up (unpacking, registering vehicles, changing licenses, etc.) but this already feels like home. Since we couldn’t quite fit everything in the moving truck on the way up last week, we’re heading to SC next week to get the rest of it. Then we’ll be back here for good the week of the sixth, and I’ll finally be able to get back in the groove of regular posting – which I’m super excited about because I’ve got a LOT of great new recipes to share with you guys! But enough about my travel schedule, let’s talk lemon bars! One of my absolute favorite desserts, it’s the thing I’m most likely to gaze longingly at through the glass at a bakery or coffee house – and sometimes I give in and have one. I’m never really sorry until the next day when I wake up puffy and bloated from the gluten and sugar. Even then it’s usually worth it if I’m being honest. I finally decided though that it was high time I came up with a keto friendly lemon bar recipe that would meet my low carb and gluten free criteria (and save me from the morning after bloating.) As an added bonus these are pretty easy to make, and just as good or better than the “real” thing. I’m not just saying that either, I tested these out on crowds of non low carbers at several parties – all with rave reviews and no leftovers. 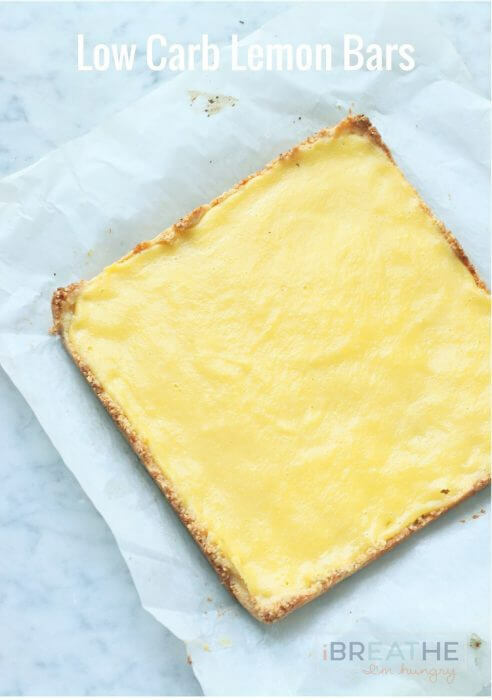 This low carb lemon bar recipe is basically the love child of my Lemon Almond Shortbread Cookies (crust), and my Sugar Free Lemon Curd (filling) recipes, with a few minor tweaks. I like my lemon bars a little on the tart side, but you can increase the sugar free sweetener in the curd if you prefer them sweeter – or you can add more powdered sugar free sweetener to the top of them after baking. Can’t wait to hear what you think! Make them and report back STAT! Meanwhile, look for more delicious low carb and gluten free recipes coming to IBIH soon!!!! 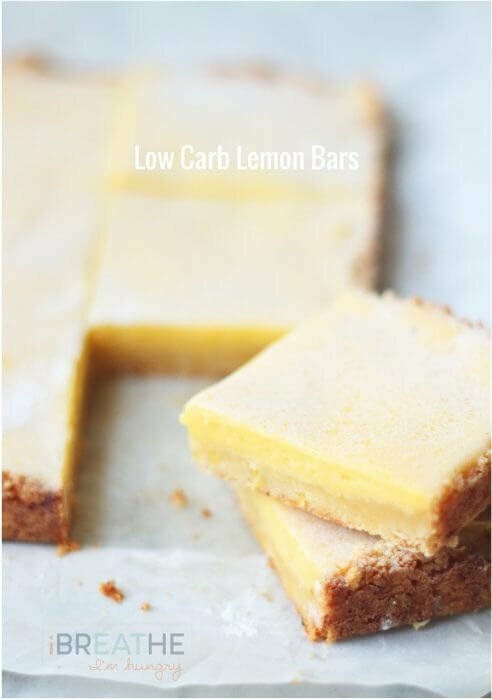 A low carb and gluten free lemon bar recipe that’s just as good or better than the original – without the guilt and bloating! Hi there, I made the recipe above, did it because everyone likes lemon. So it was my Easter dessert. The only comment people said they thought it was too much lemon. for both the crust and the insides, I feel it took about two large lemons. I will definitely make again, but just use less lemon. Just wondering though why do we drain the zest out, thought it might be nice to be in the filling? everyone loved the crust also by the way. It is 4 days after easter and crust is holding up great, it is in the fridg in tupperware. Just wanted to share it. My filling came out liquid-y…. 😩. Failed on my part. Any suggestions? I noticed my filling wasn’t getting thick when I added the yolks.. 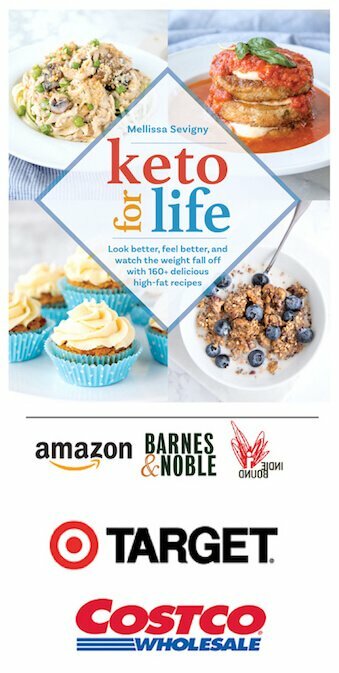 I am new to keto and I have been struggling with the lack of sugar. Confession: I was addicted before I started. lol This recipe is everything I want and needed. I don’t normally comment on these things either, but I must so than anyone who loves lemon and wants a satisfying recipe, this is it. Hands down. YUMMMM!!! Made these tonight & they are delicious!!! I used the boxed plain gelatin, and after reading a comment about them turning out rubbery, I used only 1 Tbsp instead of 2~turned out perfect!!!! This is the absolute best dessert recipe I have found/tried since going Keto. So close to the “real thing”. Thank you SO MUCH! The only things nag I changed were using Lakanto sweetener instead of Swerve and straining the mixture after adding the gelatin and xanthan gum to ensure totally smooth texture. My Kids even love them and they are the hardest to please as they are used to me making standard desserts and pastries that are extremely high in carbs. Your site has been a godsend to us through this transition. Thanks again. These are the best things ever. You deserve a parade for this recipe. Everyone loves these yum! I may have forgot to strain. Oops! But it was so creamy and smooth and tart and AMAZING! Seriously. I am so happy about this. This is the first comment I have ever left about a recipe, it’s that good! 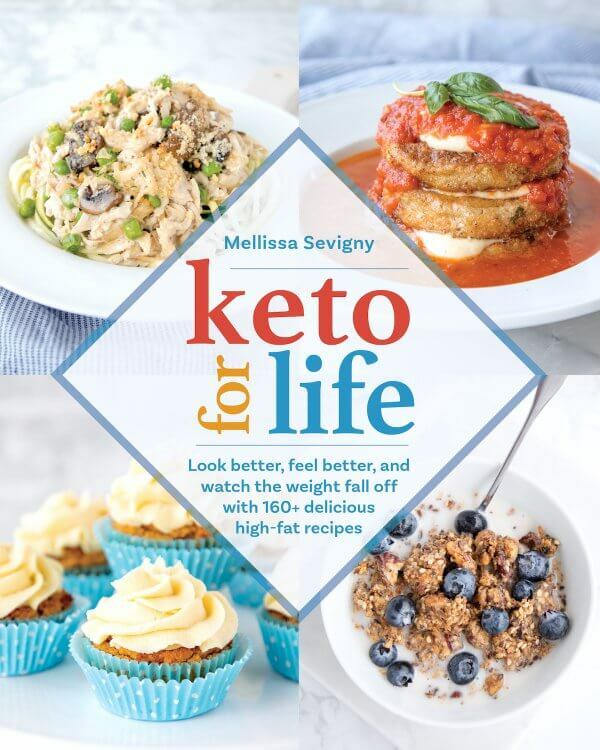 I am an avid baker, cook most meals from scratch and have been struggling to find a good low carb dessert. This is perfection, I just can’t wait for my lemon trees to have ripe fruit to make more! I did add a pinch of salt to both the crust and filling. I have Myer lemoncello that I made from my trees and I added about a tablespoon. I know that increases the carb count but it was a indulgence I was willing to make. I cooked down some blueberries for the kids and husband to use as topping and all love it. Thank you! These are perfect. Made them for a group in which I’m the only keto weirdo, and no one guessed I’d bested them. Praise all around. That is the true test! Best baking Keto recipe so far! I loved these and they were the perfect balance of tart and sweet for my taste. Definitely will be making these again and also for a work function this week. Hi praise, Courtney – thanks so much!!! Hope they are a hit at work too! Thanks for reviewing it Caitlin, glad you liked it! I was thinking of omitting the xanthan gum as well. I don’t use gums in my kitchen and I don’t see the need for it. I intend on using Great Lakes Bovine Gelatin. Did u try it without the gum? I was thinking the same thing. Like to know what you did. I made these yesterday and they turned it delicious. Thank you so much!! These were a huge hit! I may leave the xantham gum out next time because the tip was rubbery and more firm than it should have been so maybe the gelatin is enough. But otherwise delish and perfect for spring. You can, but only use 1 tsp. Wow! Another amazing dessert! 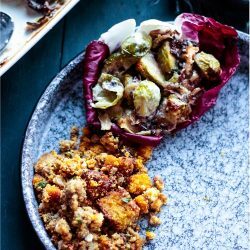 I don’t know how you do it, but these recipes are incredible. I’d never know this was keto if I hadn’t made it myself! Delicious! This recipe looks fantastic, I’m looking forward to making it for Easter! Is it possible to substitute a GF All Purpose Baking Flour for the Almond Flour? I have Bob’s Red Mill in the pantry, and would prefer to use ingredients on hand rather than buying more if possible. Thanks! I don’t think that will work the same as the almond flour Kristina – but if you try it let us know! Okay, they are much better frozen. I ate the whole batch this week. Absolutely Delicious! These were plenty sweet for hubby and me with just the 1/2 cup of Swerve in the filling. Next time I would probably put only 3-4 Tbsp. of Swerve in the crust and maybe even dial back a bit on the Swerve in the lemon filling. One packet of Knox gelatin worked great for me with the xanthan gum. My husband said they tasted just like the regular sugar-filled lemon bars, and he liked the almond crust even better than the typical wheat crust. Soooooo happy to find this recipe! Thanks! Do you have a nut-free adaptation? My hubby lives lemon bars but is allergic to almonds… Thanks! I used coconut flour instead of almond flour and it worked just as Well! I’m allergic to nuts as well. How much coconut flour did you use? I am not a huge fan of almond. The taste of the custard was great – tart and very lemony (yum!!). The crust was just ok, I might try with more Swerve next time in the crust, by the next day it had no flavor but the texture was perfect. The texture of the custard on day 2 (very firm) was not to my liking. I will use half the gelatin or even maybe 25%. I like my lemon bars gooey. 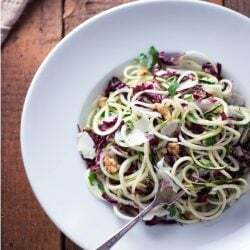 This is a great recipe to start with for low cal!! Thanks so much!!!! How many lemons to get 1/4 cup zest? I think it was 3 when I did it. I used quite a few for 1/4 cup of zest… probably about 8-9. I pulled this off the stove early after adding the yolks. I did strain it after & then again after adding the gelatin & xantham gum. It turned out pretty good but how long did you cook the custard/curd before taking it off the heat? Hi! 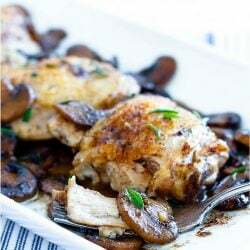 I love this recipe & can’t wait to try more! I ACCIDENTALLY used the whites instead of the yolks, LOL! I put them into a cupcake tin to make ‘tarts’ as well, they are WONDERFUL!!! (After fully cooling, before that the crust got a bit soggy,maybe from so much egg whites?) I think I’ll use whole eggs next time to save the separating & not waste the whites- since I now know it can be done with all whites & no yolks, lol! This is, by far, the best dessert I’ve made following s Ketogenic diet. I used xylitol and there was zero aftertaste. They taste exactly like a “regular” lemon bar. So so yummy! Next time I make them, I’ll double the curd because it’s just that good! Thanks for this! You made this mama and her brood very happy! Seriously delicious. My husband (not keto) called these his favorite keto desserts yet… and I’ve made MANY. That’s pretty high praise Kari, tell him I said thanks so much!! These are one of my favorites too! Thank you so much. Fantastic recipe. The whole family loved it. Thank you so much! These were the first low carb dessert that I have made that I really couldn’t tell they were low carb. I made them to take to a party and they were a huge hit! The only gelatin I had was Knox – I used one packet and they turned out perfect. I am going to make them again today to take to a get together – I am going to attempt to make in a tart pan – have you ever tried to make them a tart pan? Do you think it will affect cooking times? Is it okay to use Splenda or stevia with this recipe instead of Swerve? My husband is super-sensitive to erythritol, to the point where he can’t use Truvia at all without explosive diarrhea. (Pure Via without erythritol is fine, so it isn’t the stevia itself.) I’m always a bit hesitant to substitute blindly in baked goods because of bulk or chemical differences in the final product. My husband wants to reduce his carbs, but a lot of the standard substitutions cause digestive issues for him. These lemon bars are the bomb! My family and I love them! Thanks Rebecca, we love them too! In the oven now , the lemon filling I could have eaten with a spoon … AMAZING… I am so excited to try the finished product. You can use the gelatin but only 1/3 of the called for amount should do the trick! 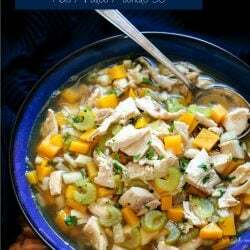 This recipe looks fabulous – I look forward to trying it after I get some ‘green can’ Great Lakes collagen. In the meantime, do you have handy the rest of the nutrition info, like grams of fiber and micronutrients (sodium, potassium, calcium, etc.)? I appreciate the net carb info but I’m trying to get a certain amount of fiber and other nutrients every day and this additional info would help. If not, I can calculate all the ingredients myself to figure it out…just thought you might already have it. Thank you. Suggestions on what to do with the leftover egg whites? Thanks! If i make a batch how long would they last before they go bad? Keep them in the fridge for up to a week, the freezer for a couple of months I would think! I made these bars and they turned out amazing thanks for sharing! I’ve made these & loved them! Just wondered if you think it would work with lime or key lime instead? Might have to adjust sweetener, I’m thinking. Loved them so I made these as key lime bars and they were great! Cut the zest down a bit and added 1 tsp swerve. Delish! Thank you SO much for this recipe!! I made them today and they turned out amazing! I’m enjoying a piece with my tea right now. I wanted to make hubby a treat for Father’s Day, and these were just perfect. Watch me eat most of it…lol!! Btw, I used one packet of Knox gelatine and didn’t have any issues. I tried doing low carb without having any type of low carb treats, and crashed hard after 3 weeks. Now I’m back on and learning to make low carb desserts that will help keep me from falling off again. Can’t wait to try out some of your other recipes! I made these and they turned out beautifully. However, I think the curd was too hard once cooled. I would use less gelatin next time. I also would prefer a more intense lemon flavor. Maybe more juice or leave in a small bit of zest would help with that. I would also make the curd a little sweeter. Hi, I was so happy to find this recipe as my Mom used to make some delicious lemon bars when I was a kid. The thought of them just makes me happy. I was eager to make these, but I didn’t have xanthan gum, so I substituted chia seeds. The filling seemed a bit soft when removed from the oven and then cooled. It tasted great nevertheless. I have placed them in the fridge overnight and they are certainly firm now. Thanks for this deliciousness. Very Nice recipe but the gelatin seized up and made curds! After I strained it. So that was unfortunate. A bit extra texture. So I covered it with a layer of cream cheese and sour cream. And made a totally new desert. Coconut flour and almond flour are not equally interchangeable. 2 cups of almond flour – or find another coconut flour crust to use as a base and just make the filling to put on top. There a plethora of coconut flour crust recipes, found this on my first search. I never ever comment on recipes but I just had to for this one. It is AMAZING and so worth the time. I need to now give some away otherwise I will eat it all by myself. Welcome to my world Susie ha ha! I have all these ingredients on hand except for the xanthan gum. Is it possible to omit or substitute? Just wonderig how important is the xanthan gum? I don’t have any, but could get some. You can get away without it they won’t be quite as firm tho! Just made these with farm fresh egg yolks and fresh lemon juice. The deep orange color is Amazing! Wish I could send you a picture. Can’t wait for them to cool! This recipe is perfection! I used stevia glycerite instead of the swerve. I put in 1 tsp for the crust and 2 tsp in the filling. Sooo yum!! Thank you for this! HI, just wanted to ask if these freeze? if not, how long do they keep for in the fridge? I have visions of myself eating the whole batch to “avoid waste” lol. Yum! I’m not sure if I didn’t bake them long enough, as the lemon curd part stayed somewhat soupy, but…no matter! I ate them with a spoon, and they were still delicious! Thanks for the recipe! Update: They firmed up in the refrigerator…and remained delicious! I can’t wait to make these at Christmastime! You could probably reduce it to 1 Tbsp if you’re using regular gelatin! These are delicious and it’s a great recipe. 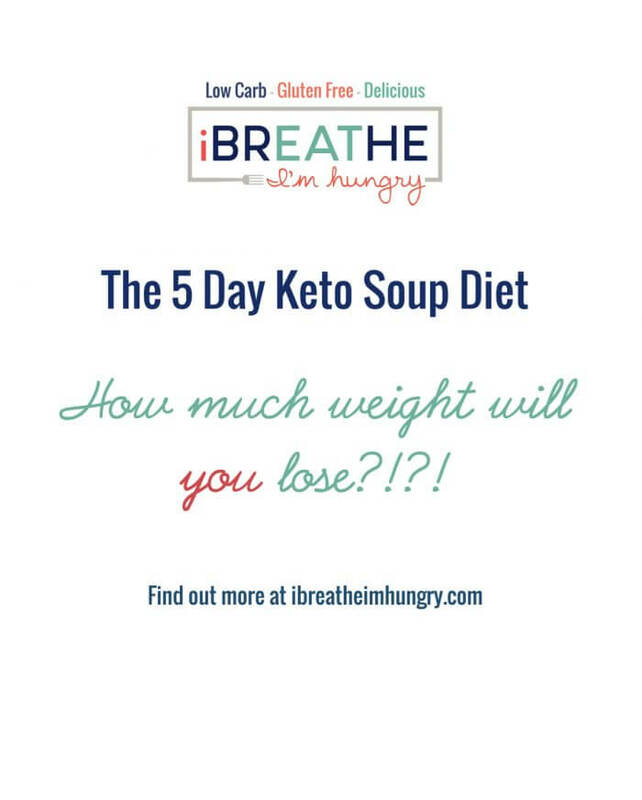 Unfortunately there is one very important huge problem: they aren’t really keto friendly. I’m wondering how u got 2net carbs each. My mom made these & i binged on them without doing my own calculations and got really really sick (out of ketosis & sugar alcohol overload). Doing the calculations for the crust ALONE with 1/3 cup swerve and 16 servings, it is WAY over 2g carbs. According to my math for the whole recipe, calculating NET CARBS even for the almond flour, there are AT LEAST (being minimally liberal) 15 GRAMS OF NET CARBS PER SERVING. That’s more than I usually eat a DAY. (Oh my god no wonder I was sick for 2 days. 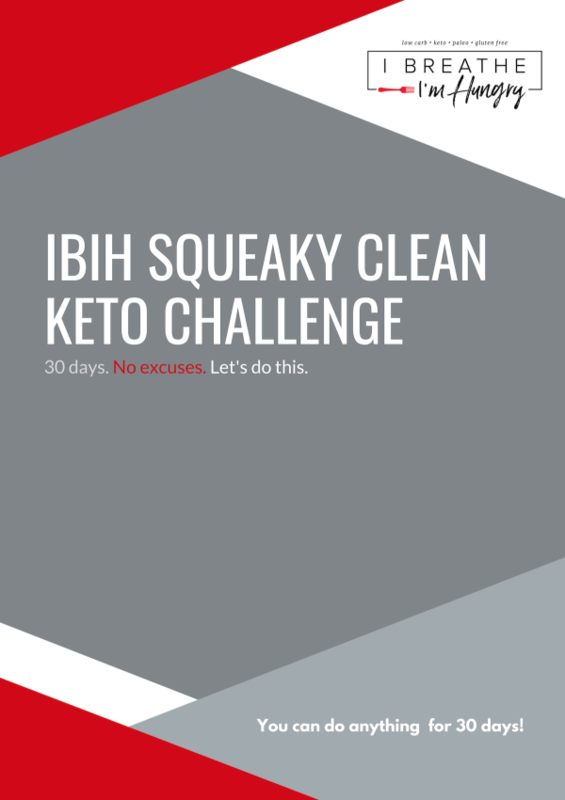 I’ve been working at keto adaptation for a month and a half & want to cry). ***PLEASE PLEASE PLEASE DO NOT EAT THESE IF YOU ARE ON KETO!!!! *** at least 15 carbs a serving! YOU ARE INCORRECT. CALM YOURSELF. 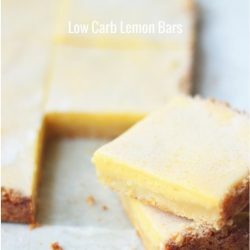 The sky is not falling and these lemon bars are PERFECTLY KETO FRIENDLY when the nutrition information is calculated correctly and you don’t “binge” and eat the entire pan. 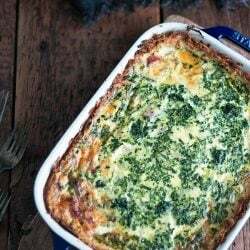 One batch of crust and filling has a total of 36 grams of net carbs – when you divide that by the 16 two by two squares that constitute one serving, you get 2.25g net carbs per square. 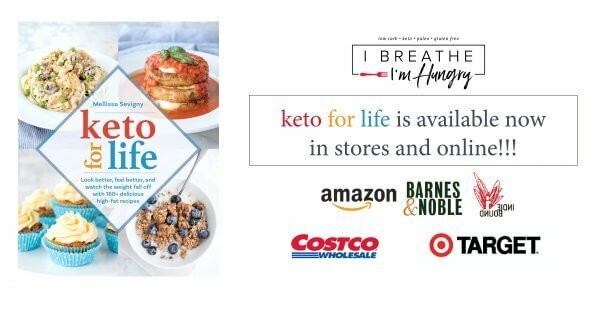 You got sick and kicked out of ketosis because you ate too many – my recipe is not to blame, your lack of moderation is. SORRY! I was freaking out. I’m brand new to Erythritol and did not understand that the listed sugar carbs in that sweetener are completely indigestible and apparently don’t count at all. Your recipe is superb. 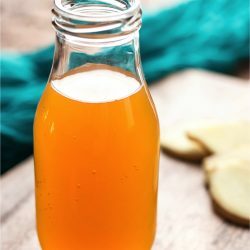 I have a question about lemon juice. Approx how many lemons in the recipe? Also, what do you think about using bottled “real” lemon? But then there is the zest… hmmm. I’m new here and I love this site. I’ve made the snicker doodle crepes, cream cheese pancakes, pepperoni cauliflower pizza, and they turned out great. My grocery store didn’t have almond flour, so I used coconut flour for the lemon keto bars, and they didn’t turn out so well. I’ve never used almond or coconut flour before, but I’m thinking they’re not interchangeable. There are so many other recipes I can’t wait to try! Hi Caitlin – for sure the almond and coconut flours are not interchangeable so I can see why you would have had trouble with the lemon bars recipe! I hope you’ll try it again with the almond flour because they are awesome! I get my almond flour online through Amazon because it’s so much cheaper than the stores! Also get a very fine almond flour like Wellbee or Honeyville for the best results in baked goods! Thanks Mellissa. I will order the almond flour. I appreciate the guidance, and I will try the keto bars again as the lemon part is awesome it was just the crust that was off. I’m using the left over egg whites to make the meringue cookies! I’ve done low carb off and on forever but all this creative baking is new to me! This site is beautiful! tried second time, split in the curd process..recipe has become too expensive..I’ll use crust for something else.. very sad as i love lemon. 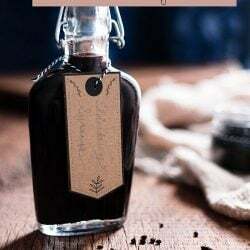 I don’t have any lemons, to make the zest, ….. can I use just lemon juice purchased in a bottle? You can Dianna, but the flavor will be less intense and possibly too sharp without the zest to round it out. Not horrible, just not nearly as good as with the zest! Well, I almost NEVER comment on a recipe that I haven’t made yet, but just gotta say, I am sure this is the one I’ve been looking for–lemon curd over an almond crust. Just have to get through the fabulous lemon pound cake with lemon glaze I made to go with the whipped cream and just-picked strawberries before I can get to this! Thanks–I’ll report back as soon as I make them! Hi Mellissa! Planning to have this for my daughter. I wonder what can be a good substitute to almond flour? She’s allergic to gluten, nuts, soya. Thanks in advance! Any cookie crust or sweet base layer will probably work so if you can find one that will work for her just top it with the filling and bake! I’m so glad I found this! I’ve been doing ultra low carb for 5 weeks now, and lemon bars are my absolute favorite dessert. I’m glad you found it too Leigh Ann – hope you like them as much as we did! What do you use to strain the filling? Would a metal mesh strainer work? Yes Amanda, that would be perfect! It just needs to be fine enough to strain out any larger chunks of lemon zest or any lumps that might have formed while making the curd! Odd question … I have never figured out how to really zest a lemon. I have a fine grater/zester but it really doesn’t seem to work. I find that my microplane grater works the best – some zesters are too small and they just grind it into mush making it hard to use. This is the one I have and it works great on lemon, parmesan, chocolate, etc. You can find all kinds of brands and price points in this basic style – even at your local department store probably! There are different blade sizes that will give you a fine grate or a courser one – sounds like yours is too fine so go a size up and you should be good! Uh…are these still low carb if you ate a third of the pan in one sitting??? Holy Hannah Montana these are tastey. I was just nomming on your bison beer braised meatballs with cauliflower mash yesterday and was actually happy swaying from how good they were, I did use regular old ground beef but it was still amazing. Especially on the second day. But on this recipe I made it a few weeks ago and kept forgetting to ask, my bars are amazing and taste fairy level amazing when heated up but when I tried to eat them cold the yellow lemon part would fall off of the crust. To avoid this would I just use less gelatin? I used the Great Lakes one. Hi Ainsley, glad you’re enjoying the meatballs! Regarding the lemon bars, it’s weird that the lemon part didn’t bond to the crust. I wonder if it IS an issue of the gelatin. Was it super hard, because if so that could be it? Or maybe if the cookie layer baked too much they didn’t bond together after you added the lemon curd. I’m totally stumped on that one but I would try it next time with less gelatin and see what happens. Or omit the xanthan gum and keep the gelatin the same. Glad they tasted good though! Hmm…I believe experiments are required…for science. I may have baked the crust too long or maybe my crust was too thick, because now that I’m looking at the pictures mine was much thicker. I failed to follow directions. Next time I’ll omit lessen the gelatin and cook the crust longer. these look so good. i want to make them for my Quaker meeting this Sunday, but i dont use sugar. can i substitute honey or agave or maple syrup instead? Any of those could work but I’m not sure of the quantities. Yes, I think you’ll have to experiment a bit. 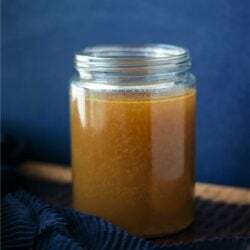 Agave is the sweetest and will probably take up the least amount of volume so you might get away with a little less since there isn’t a lot of room to reduce liquids in this recipe. Let us know if you figure out a way to make it work! Great recipe! The crust is soo good, I have a question about the filling – did anyone else’s filling turn to rubbers with 2 tbsp gelatin? I used the powdered gelatin in the box. Wondering if next time I should use 2 tsp. instead of tbsp? Thanks for then yummy recipe! I loved all that real lemon! I didn’t event strain it because I wasn’t sure what I was supposed to be straining! Hi Ruth! I used Great Lakes Gelatin which may act differently than the powdered gelatin in the box so if you got a rubbery texture then definitely use less next time! Glad you liked the flavor! I strain out the lemon zest to get a smoother texture in the bars, but it’s definitely not a requirement if the texture didn’t bother you! Thanks for weighing in! Little tarts sounds adorable – totally stealing that idea Audrey! Glad you liked them! Thanks so much for sharing all your hard work and delicious recipes with us. 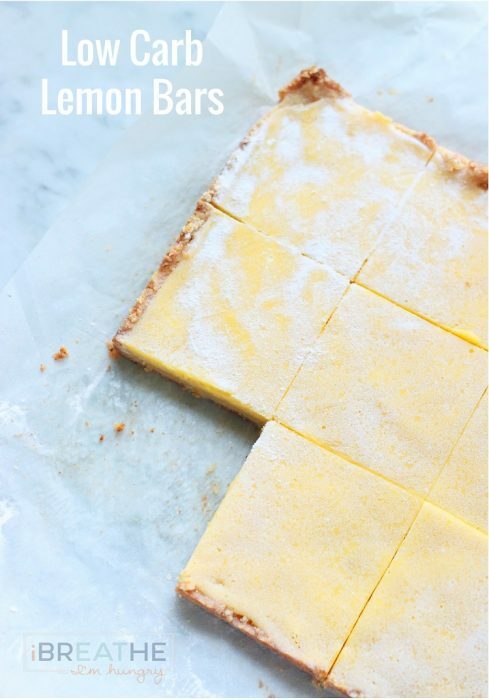 I tried these Lemon Bars and they were just like the real deal, so I was very excited to be able to have them again after eliminating sugars and grains from my diet. They were light, tangy and felt like a great Spring treat! I did have a few problems while making them though that I wanted to ask you about. First of all you said 1/4 cup lemon zest and I wondered if that was the correct amount. I had to use 8 lemons and I was still shy of that amount. Also, when I went to strain the lemon curd, all of the zest was caught in the strainer, is it supposed to do that? Also, as I was cooking the filling it started to turn a putrid green color and I don’t know why. I had to add a bunch of yellow food coloring to it and they still turned out an unattractive yellow-green color. They still taste great, but I am wondering what I may have done wrong since yours are such a pretty yellow color. Thanks for your help. Hi Peggy! I’ve eaten the curd without straining it but not everyone likes the texture of all the lemon zest in it which is why I recommend straining it out. 8 lemons should have given you more than enough zest – were you using a micro plane grater made for zest ink, or something else? Regarding the color, sounds like it may have reacted with your pan. Acidic foods like lemon will turn a weird green color in a metal pan sometimes. Try it in enamel or a coated nonstick pan next time and you should get the bright yellow natural color with no need for food coloring! Hope that helps, glad they tasted good at least! Okay, found my Easter dessert. Thanks so much. If these are even half as good as the raspberry cheesecake bars, I’m going to be one happy camper. I’ve been following the menu plans (on week 3, now) and I have to say that EVERYTHING I’ve made from your site is delicious. EVERTHING. That ususally doesn’t happen. I cook a lot, and sometimes I look at ingredients you have listed and a little doubt comes into my mind, but it’s always swept away by the final product. I’m dying to make the General Tso’s meatballs again, and the chicken salad you just posted looks incredible. I’ve lost about 7 lbs, and most importantly, busted through a number on the scale that I haven’t been able to breech in over a year. Thank you again for all your work. It is MUCH appreciated. Congrats on being the boss of your scale, so happy that the plans are working for you!!! As for these lemon bars I like them even more than the cheesecake bars so you’ll have to know what you think once you try them!!! Can you use the green can gelatin or do you need the red can kind? Thanks. I used the green can gelatin Debbie and it worked great! I had a question about this too. I’ve made this twice and used Knox Orinal Gelatine. Is there an advantage to using the one listed in the recipe? Do you have to use gelatin in the recipe. Are there any substitutes? is the filling firm enough to stand up without the crust? It’s pretty firm but you’d have to chill it well and probably cut it into one inch squares. Welcome to spring(?) in the Hudson Valley! 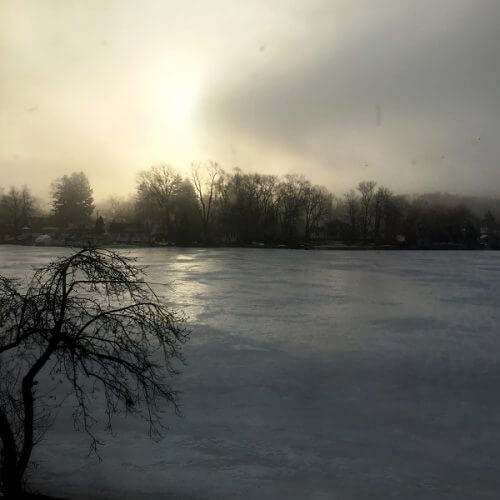 I’m just north of you in Dutchess County, and the view out of my window is still as arctic as yours. Sigh. Love lemon bars, though, so these will help to get me through the next few days as the crud melts. Thanks for posting, and good luck with the rest of your moving chores. Thanks Eric!!! It’s above freezing today so I’m optimistic that the snow bank out front will be gone soon! Hope you like these!!! Welcome, back, Melissa :) These look great. I’m going to have to get over the reluctance to separate eggs for recipes and make these. It’s worth it jan, promise!!! !